This apartment is in Clearwater. 2917 Catherine Drive has a Walk Score of 51 out of 100. This location is Somewhat Walkable so some errands can be accomplished on foot. This home has 3 bedrooms and 3 full bathrooms, formal dining room and 2 separate living areas, as well as an enclosed Florida room. The home boasts and upgraded kitchen with granite counter-tops in both the kitchen and bathrooms. Contact us to schedule a showing. Explore how far you can travel by car, bus, bike and foot from 2917 Catherine Drive. 2917 Catherine Drive has minimal transit which means it is possible to get on a bus. 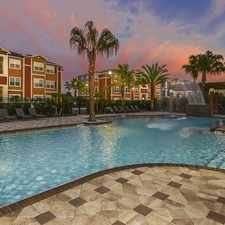 View all Clearwater apartments on a map. Search for homes in Clearwater or find a Clearwater real estate agent who knows walkable neighborhoods. Links will open on our partner site Redfin.com. 2917 Catherine Drive is in the city of Clearwater, FL. Clearwater has an average Walk Score of 43 and has 107,685 residents.